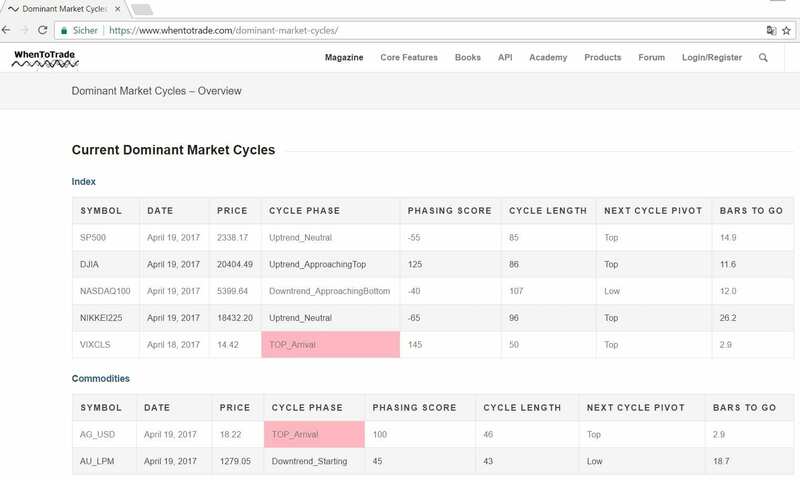 Based on our cloud based cycle analysis API, we provide a daily updated view on the current dominant market cycles for major markets. Based on our cloud based cycle analysis API, we provide a daily updated view on the current dominant market cycles for major markets. You can daily check our cycles dashboard to see the latest update on current active cycles with additional information for cycle status, next expected change in trends and key phasing information. This will give you a quick start without the need to do your individual charting analysis on each market. Feel free to share the news!